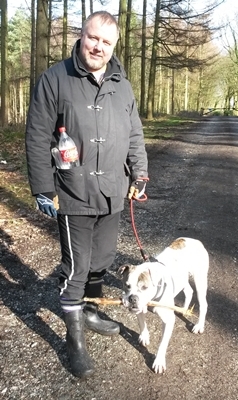 Here’s an update on Bruno the American Bulldog adopted from us on 21/01/2016 we are so pleased to see him settling into his new home and going out for long walks with his wonderful new owners. 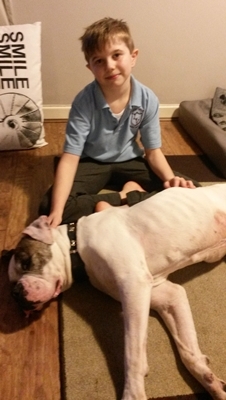 Bruno was brought into us on the 16/06/2015 so after being with us for quite a while we are so pleased he found his forever home. We will look forward to keeping an eye on Bruno’s progress and staying in touch with his family! We want to wish Bruno and his family all the best for the future! 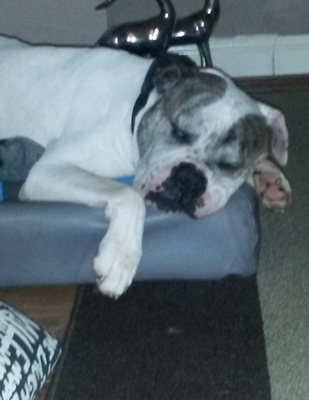 This entry was posted in Updates on rehomed pets on 8th February 2016 by admin.